I like Rob Zombie. 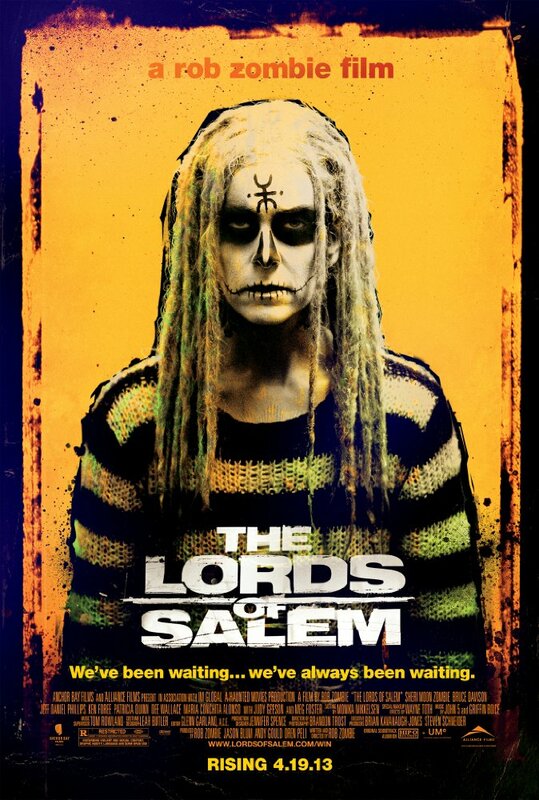 I like Sherri Moon Zombie. I love anything to do with witches. So yeah, I actually rather enjoyed this movie. There is a lot about this movie that worked as far as I am concerned, though I do recognize the that there were some valid criticisms. Unlike the Witch, which tried to play the witch stories of America with an even hand, this movie goes full on myth and fairy tale. Not to be too much of a critic, Sherri Moon Zombie is not the best actress in the world, but she is good in this role. The movie has a feel to it that reminds me a bit of Kubrick...or more to the point someone (Rob Zombie) trying to do Kubrick by way of Ken Russel. The basic idea of this movie is a tried and true one; descendants of those wronged are not enacting their revenge/curse or whatever in the present day. So far this movie has 100% more Rush than any other movie I have seen this challenge. I am going to say this one was a good one. Plus it had Meg Foster and Dee Wallace in it as witches, so how can that be bad? Yeah, I liked it a lot more than most other people seem to have done.